Unbounce is the leading provider in A/B test landing pages. JotForm is integrated with their best-of-brand service, and its users can claim a 3 month 50% trial discount. Details can be found here. 1. 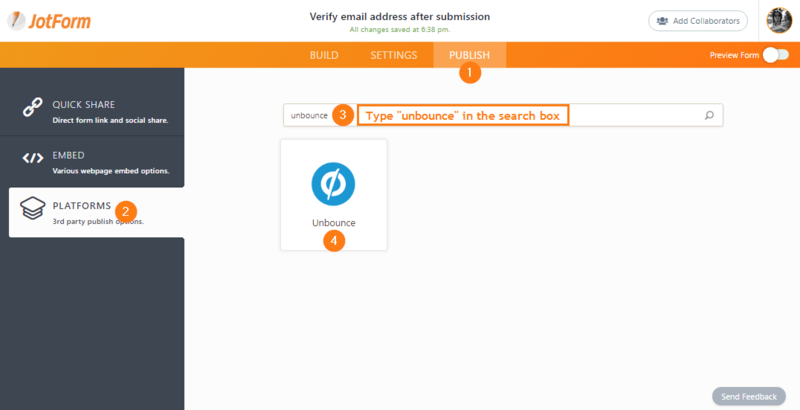 Get your UnBounce specific JotForm embed code. Instructions on that can be found here. Please note that this embed code will work with both secure and non secure pages. Test both variants to ensure they are working as expected. Once complete, deploy Unbounce as usual. Now you can enjoy the power of JotForm in your Unbounce landing page. I went to "3rd party platforms" and selected the Unbounce embed code. I embedded the code according to the directions here. However, when I submit the form, the page redirect doesn't work. I tried using the popup embed code and had the same problem. I cannot use the iframe embed for various reasons. I don't understand how to link the form information to deliver that input somewhere. 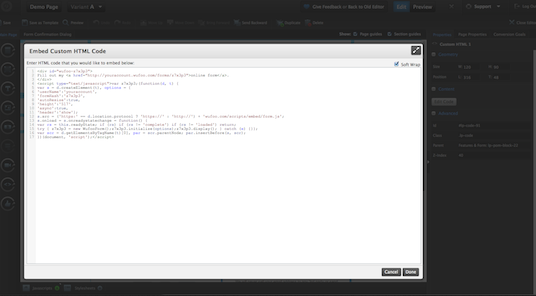 I also do not understand the embedding and the copy and paste code did not put add the form to the page. I'm confused. 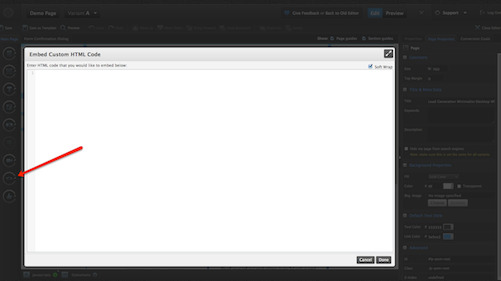 Add the JotForm code snippet to the page and save. Trying to add as you sad but nothing is working.